Looking at the mirror and seeing my exhausted face; the guilty culprit is the puffy and tired looking eyes. Add in the hectic lifestyle, indirectly it quickly takes up residence under the eyes in the form of bags. It makes me need to cover it with thick concealer. 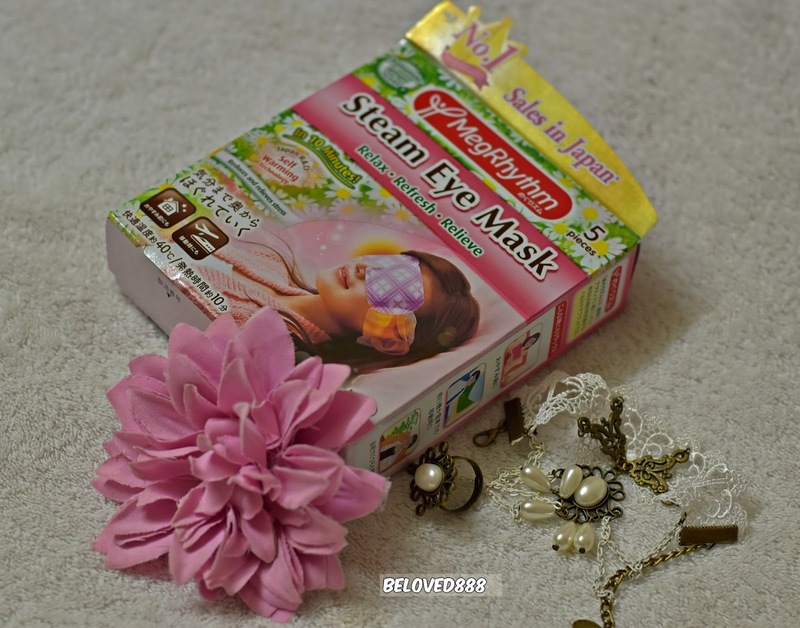 Thanks to KAO Megrhythm Steam Eye Mask as you came at the right time. I really need a steam eye mask that can give me the best soothing experience. Now I get to try KAO Megrhythm Steam Eye Mask, No.1 Sales in Japan. I am so excited that KAO Megrhythm can be purchased in Malaysia. - Help to De-stresses, relaxes and brighten up my tired eyes. Relax and enjoy 10 minutes refresh moment with the steam mask. The Steam mask contains self-warming technology. Approximately 40 degree Celsius warm steam gently envelopes your eyes for about 10 minutes. 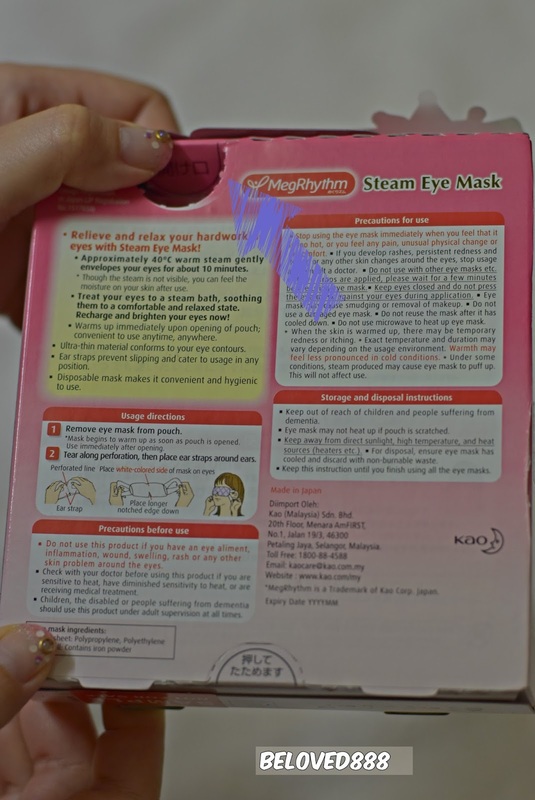 How to use KAO Megrhythm Steam Eye Mask? Step 2: Remove the eye mask from the pack. Tear along the perforation. Step 3: Place the ear strap around the ear. Then enjoy the warm and relaxing eye mask moment in 10 minutes. I love the self-warming feeling during the mask session. My eyes feel lighter and brighter. Personally, I love the lavender sage scent as it gives me a calming moment. 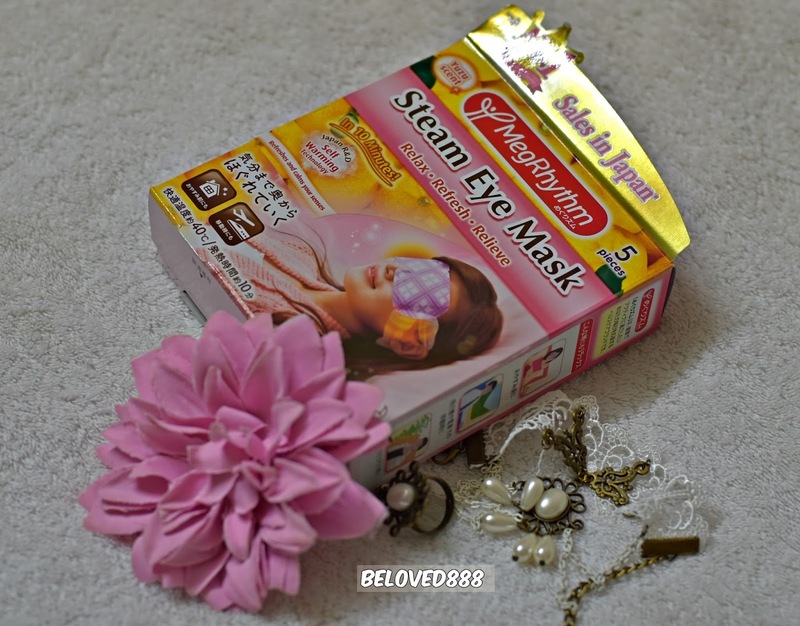 If you have insomnia problem like me, why don’t give a try on this steam eye mask. It will actually promote a better sleep. You may want to consider Chamomile ginger scent as it helps to relieve stress and at the same time provide a fresh and pleasant recover. If you too frequent sitting in front of your computer for long hours? Is time to give your eye a break. The steam eye mask sealed in a tight packet and it is easier to carry with me. I bring the eye mask with me whenever I travel. 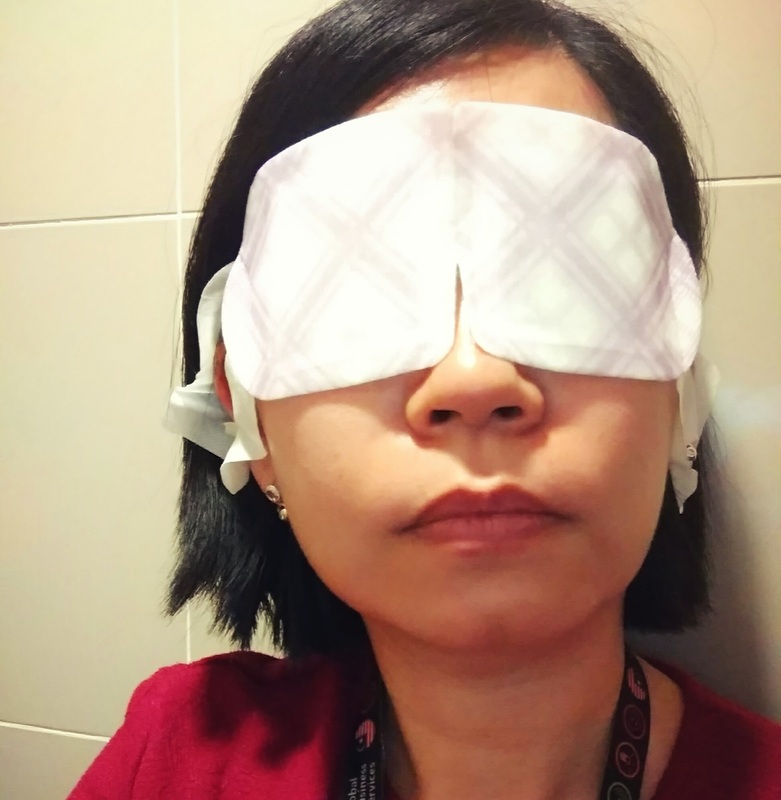 The Steam eye mask can be used anytime and it is convenient to use. 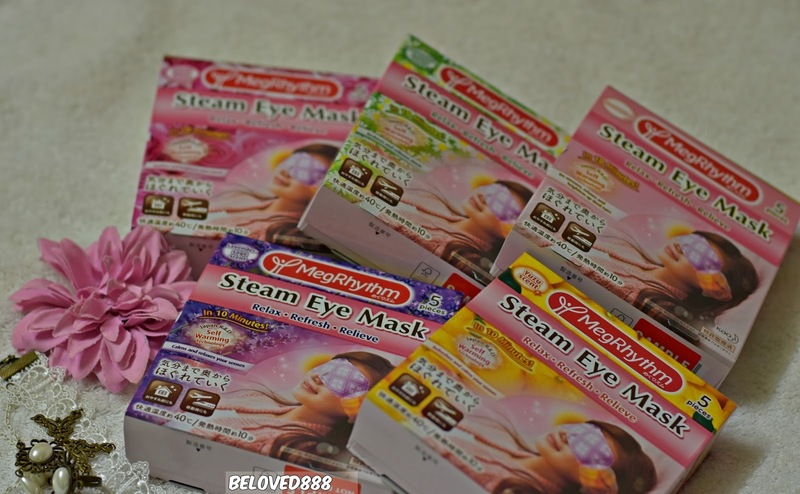 One box of KAO Megrhythm Steam Eye Mask priced at RM23. Each box contains 5 pieces of steam eye mask. 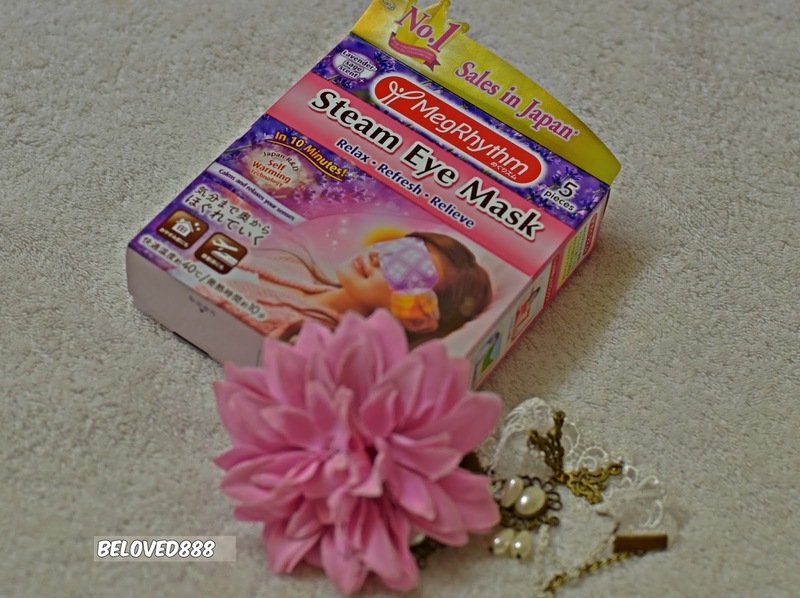 The Steam eye mask can be bought at Aeon Wellness and Watsons nationwide. If you prefer to purchase online, you buy it from Lazada, Lmall and 11street. Dear my readers, you can request a free sample for Kao Megrhthym Steam eye mask by click at here. For more information regarding KAO Megrhthym, feel free to follow them on Facebook: https://www.facebook.com/megrhythm.my . 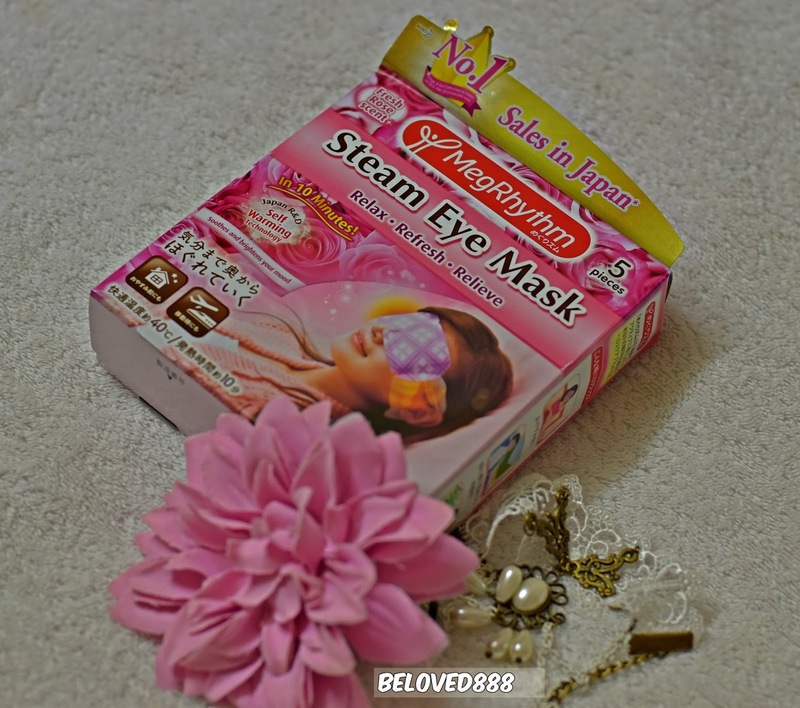 Enjoy the pampering session with KAO Megrhthym Steam Eye Mask. 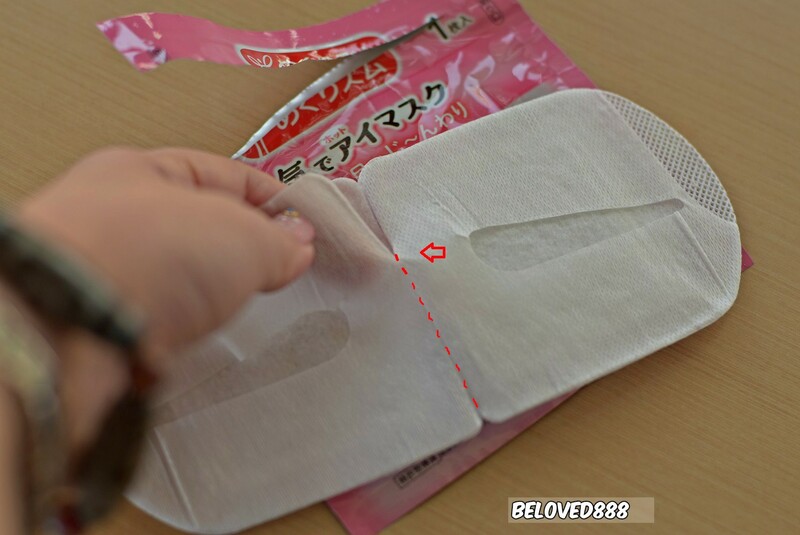 You have to make the right choice for choosing KAO Megrhtym Steam Eye Mask.